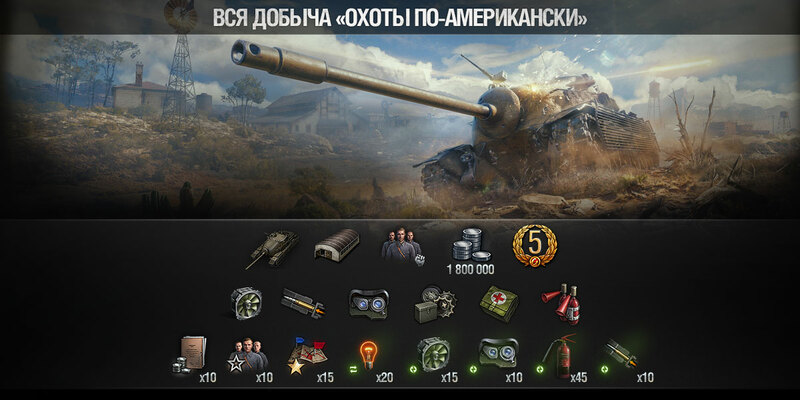 Terms of service Passage of the marathon "Hunting American-style"
The presence of SILVER and tanks 9-10 LEVEL! The presence of 100 gold (for the change of additional. Equipment). The ability to install three extra. equipment to choose the driver. You must have a premium account active (we will be less in the minus). The ability to retrain the crew to choose the driver.